If you missed the last few sections on components and Vue-cli, you might want to go review those before reading on. Now that we know the very basics about how components and passing state and props around, let's talk about Vuex. It's a useful tool for state management. Previously, we've passed state from a top level component down, and siblings did not share data. If they needed to talk to each other, we'd have to push the state up in the application. This works! But once your application reaches a certain complexity, this no longer makes sense to do. If you've worked with Redux before, all of these concepts and the implementation will be familiar to you. Vuex is basically Vue's version of Redux. 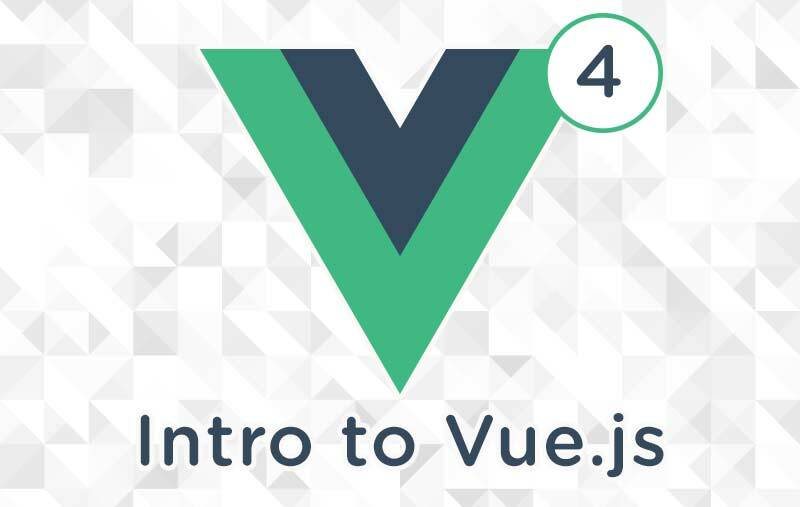 In fact, Redux will work with Vue as well, but with Vuex, you have the benefit of using a tool designed to work specifically with your framework. key: value is a placeholder for any kind of state data. In other examples we've used counter: 0. Getters will make values able to show statically in our templates. In other words, getters can read the value, but not mutate the state. Mutations will allow us to update the state, but they will always be synchronous. Mutations are the only way to change data in the state in the store. Actions will allow us to update the state, asynchronously, but will use an existing mutation. This can be very helpful if you need to perform a few different mutations at once in a particular order. Sometimes it's difficult to understand why you might work with asynchronous state changes if you haven't before, so let's first go over how that would happen in the abstract and then dive into something real in the next section. Let's say you're Tumblr. You have a ton of heavy gifs on a page that doesn't end for a long time. You only want to load a certain amount at a time, say 20, until the user gets 200px away from the bottom of the original page. You could have a mutation that displays the next 20. But you don't have the next 20 yet, nor do you know when you hit the bottom of the page. So, in the app itself, you create an event that listens to the scroll position and you trigger an action. The action then retrieves the URLs from the database for the next 20 images, and wraps the mutation, which adds the 20 images to the state and displays them. Actions, in essence, create a framework for requesting data. They give you a consistent way to apply the data in an asynchronous manner. In the example below, we're showing the most basic implementation of each, so you get a sense of the setup and how it would work. Payload is an optional parameter. You can define the amount you are updating the component by. Don't worry, we'll use an actual demo in a moment, it's just important to get the base concepts first. A really nice feature here is we can return the entire state object in the mutations, but we don't have to, we can just use what we need. Time travel debugging (walking through the mutations to find errors) will still work either way. Let's look at the Weather Notifier App again, with a very small and simple amount of state in the Vuex store. Here's the repo. See the Pen Vue Weather Notifier by Sarah Drasner (@sdras) on CodePen. Here, we're setting the state of showWeather, this is set to false at first because we don't want any of the animations firing right away, not until the user hits the phone button. In mutations, we've set up a toggle for the state of showWeather. We're also setting the template to 0 in the state. We'll use this number to cycle through each of the weather components one by one. So in mutations, we've created a method called updateTemplate. This both toggles the state of showWeather, and updates the template to the next number, but it will wrap around to zero when it hits the number 4. In the code above, App uses showWeather to advance the template, while Dialog merely toggles the component visibility. You can also see that in App.vue, we are showing and hiding different child components based on the value of template in the App <template> with that snazzy conditional rendering we learned in the first article. In App, we're both listening to the changes of state in store with the computed values, and using toggle() and updateTemplate() in the methods to commit to the store's mutations. This is a basic example, but you can see how with a complex app with tons of state, it would be helpful to manage the state all in one place, rather than moving it up and down our components. Particularly when siblings need to talk to siblings. If you're interested in digging into Vuex deeper, there are great docs here. You might have noticed that we used some <transition> components in this last demo, as well as lot of animations. Let's talk about that next! Enjoying this series. Awesome demos.